A new Baby Boy has arrived! 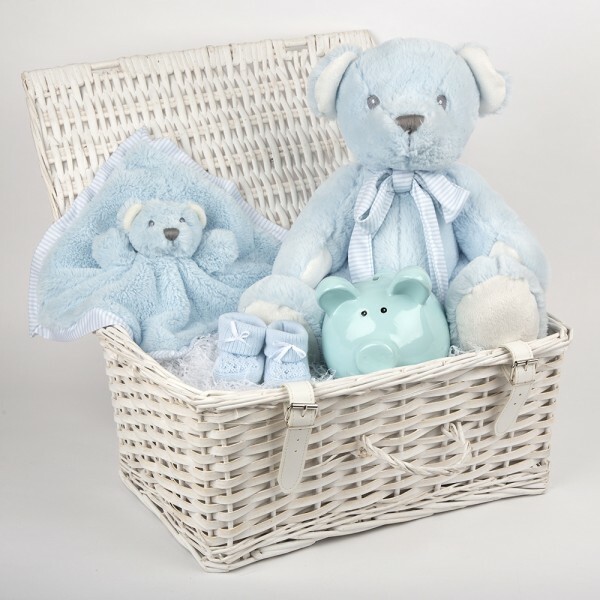 What better way to welcome this bundle of cuteness than with an InterGift Baby Boy Hamper, filled with beautiful gifts? Keep Baby entertained with the teddy bear finger puppet blankie. In baby blue coloured super soft fabric with striped edge and underside. 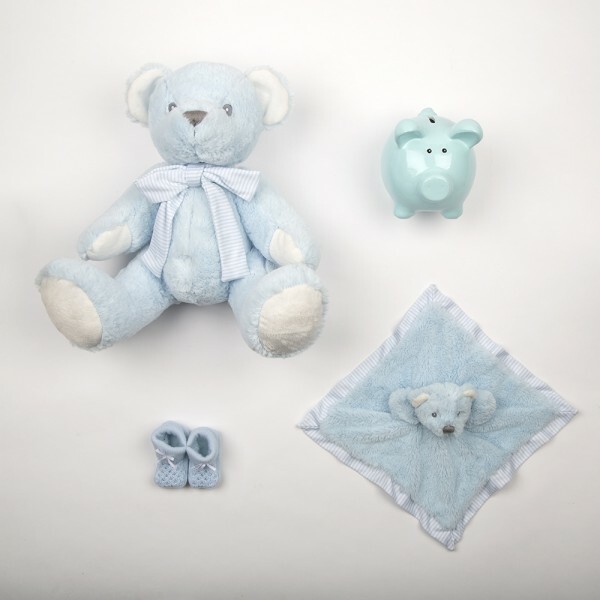 There’s a large super soft traditional blue teddy bear with white inner ears and pads. He has a lovely smile and wears a blue and white striped cotton bow. Perfect for cuddles! Save Baby’s pennies in this cute ceramic piggy money bank. There’s a coin slot in the top and a plastic bung underneath. Presented in an illustrated gift box. An InterGift New Baby Boy postcard will be added to the hamper with your personal message on the reverse.